Liferings are US Coast Guard Approved. Buoy can be used on a boat or poolside as a safety device or in a home or office as nautical decor. Personalized life rings and life buoys make a great nautical gift. Our liferings are United States Coast Guard Approved. These liferings can be used as on a boat or pool side as a safety device. Customized life rings can be hung on a wall in a home or office. Personalized Life Ring customized with your Boat Name, Port Name, and lettering color choice. 30 inch diameter version - For Large Boats. 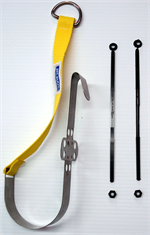 Life Ring Mounting Kit with 60 foot heaving line and float for round life ring. Be Safe! Always handy in an emergency. 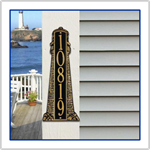 Anodized aluminum bracket adds beauty and durability. Mounting Kit for Life Ring Buoy - Boat Version.